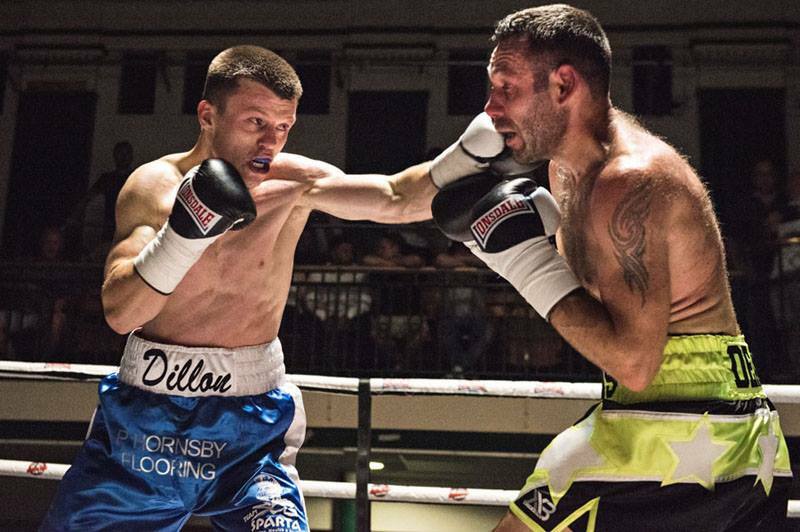 Lightweight Liam Dillon says his sparring for this camp will hold him in good stead as he looks set to make his mark on the domestic scene in 2019. The 22-year-old currently sits with a record of seven wins, with his last outing ending in his only stoppage against Antonio Horvatic back in September. The performance drew plaudits from many fans inside the packed York Hall that night with manager Steve Goodwin hailing the display as his best performance to date. As he prepares to continue his momentum, coach Steve Kipps arranged sparring with Southern Area Champion Mikey Sakyi, WBO European challenger Boy Jones Jr and Commonwealth title challanger Matthew Chanda. And Dillon – a staunch Chelsea fan – reckons this is only going to hold him in good stead as he prepares for titles. “I’ve got to be honest, this time round for sparring has been absolutely exceptional,” he declares. “I have got some really good rounds him with some top guys and for that I can only thank my coach and team for arranging it. “We’ve travelled to the top amateurs down at Hoddeson ABC where the level is really good and down at Sparta with boys like Mikey [Sakyi] and Boy Jones Jr.
“This time round I can really feel the improvements I have made because of it, I never want to give too much away. “I thought last time out was my best performance and from the way I have been in training I would say that I’m expecting an even better display. “This year has gone really well for me, I’ll have one more fight on Saturday and then it gives me a bit of time off on the lead up to Christmas. “God willing I will finish this year 8-0 and then fingers cross by the end of next year I can have a title round my waist.